Our New Morrisville Office is Open! We are excited to announce the opening of our new office on Portland Street in Morrisville! 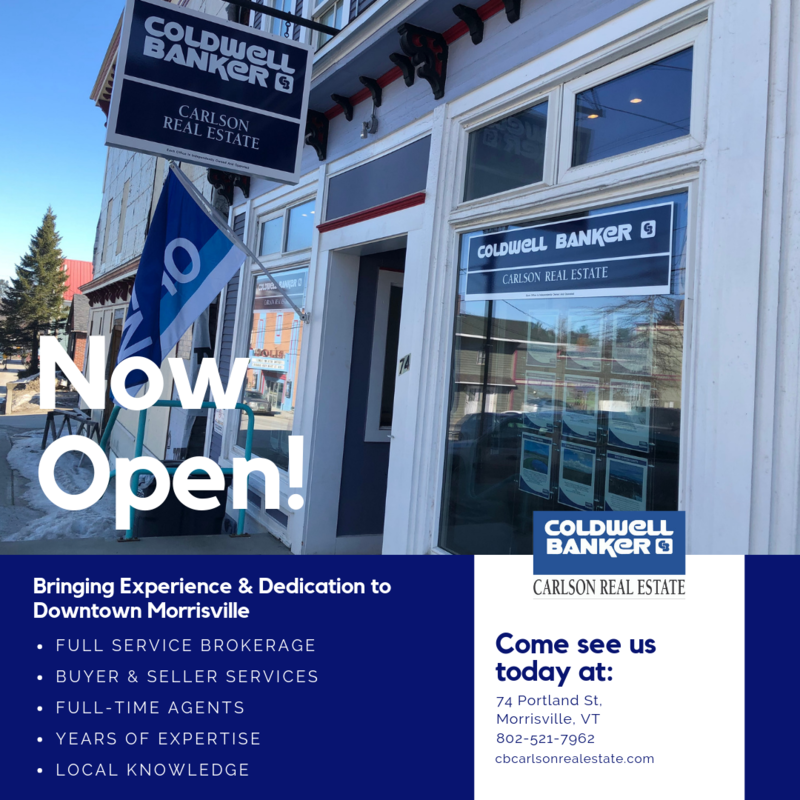 As a result of growing demand for real estate services in northern Lamoille County, this branch office will provide expanded opportunities and convenience for our clients and customers. We will of course continue to offer the same level of expertise and exceptional service, as well as support and guidance through the real estate process in order to assist our buyers and sellers with their goals and expected outcome. Our official grand opening will be Thursday April 25th, from 4-7. We hope you can join us then, or feel free to stop by in the meantime to check out our new space and to see what's new in the area, and the world of real estate. We look forward to welcoming you to our new home located at 74 Portland Street! Today we have all become more vulnerable to wire fraud, unfortunately, and we want to make sure you exercise caution before transferring any funds by wire. 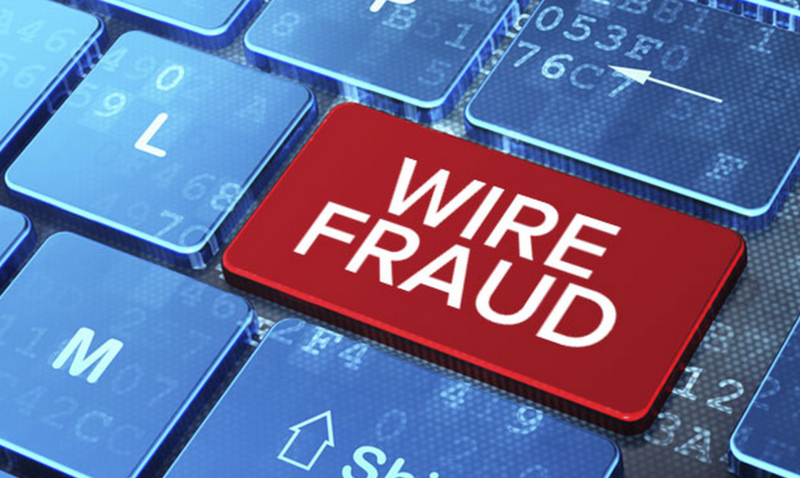 Wire fraud scams are becoming more prevalent whereby fraudulent individuals are creating emails that can fully replicate those that will look familiar to you - for instance - from your Realtor, your attorney, or lender. They will send you a personal email requesting that you "wire funds for your closing", or other, only to be ultimately routed to a bogus account. Therefore, if you ever receive any correspondence that appears to come from your Realtor, or your attorney, or lender, or anyone else, please contact us or your attorney, immediately by calling on the phone. In addition, we strongly recommend that you not include any sensitive information in your email correspondence to the parties who are involved in your real estate transaction, including account numbers, routing numbers, social security numbers, etc. Instead, provide any essential information required for the closing by your lender or attorney or other professional, by phone. As with any phone calls you might make relative to these matters, please make sure you have verified the phone number, and not taken one from a website or email. If you need to wire funds for your closing, please be sure to contact your Realtor or attorney or lender by phone to complete the transaction. Above all, please consult with your attorney about any of the above, as this is not intended to be a representation of legal advice to you. 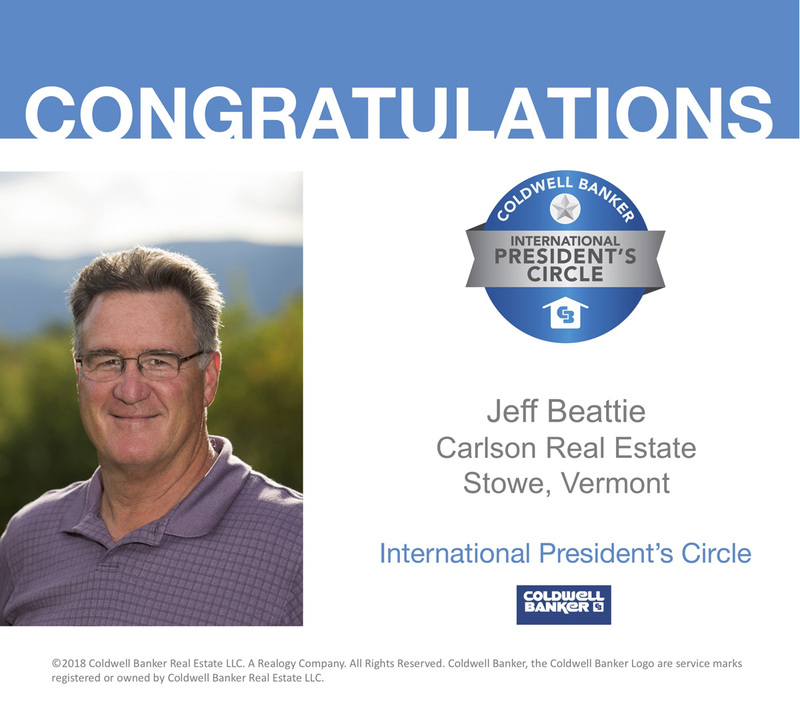 Jeff Beattie of Coldwell Carlson Real Estate in Stowe, Vermont has been awarded the International President's Circle Award. The designation is awarded to the top 5% of all Coldwell Banker agents worldwide. The President's Circle Award demonstrates a high level of dedication to clients and customers which leads to top sales production. 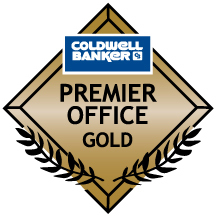 The Coldwell Banker Carlson Real Estate office has received the Premier Office - Gold award for the 6th consecutive year. The Premier Office award demonstrates high productivity in the entire office that can only be attained through great teamwork and leadership. Call me today for a consultation on your property. I won't just list your property, I will enhance and promote your listing with the latest available technology to get it sold. Mortgage interest deduction. The maximum mortgage amount for households deducting their mortgage interest has been decreased to $750,000 from the current $1 million limit on primary and secondary homes. The House bill sought a reduction to $500,000. Pass-through entities. The bill significantly reduces the effective rate of tax on business income earned by independent contractors and income received from pass-through entities. 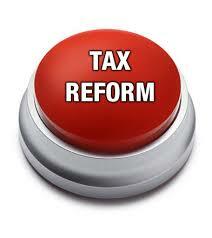 This change will potentially lower the taxes of these types of professionals. We will be publishing more information as it is made available, as the professionals and experts continue to decipher myriad details of the bill. Coldwell Banker Carlson Real Estate is proud to announce that Jeff Beattie has been named 2016 REALTOR® of the Ye ar for the Lamoille Area Board of Realtors! This award recognizes those who have served not only the real estate profession but also their communities. Winners are chosen based on REALTOR® Spirit, participation in civic activities; including service clubs, charity, fraternal or religious groups, notable business accomplishments and association activity. 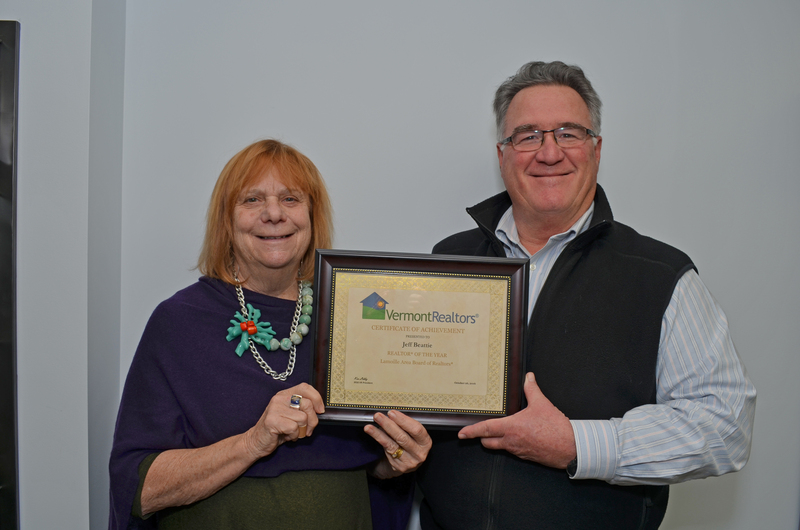 In addition to Jeff’s roles as a Director and Past President of the Lamoille Area Board of Realtors, he has served on the Regional MLS Board and the Vermont Association of Realtor’s Forms Committee. He is always ready and willing to reach out to newcomers to the field of Real Estate to help guide them through the pitfalls of laws and regulations. He embodies good real estate practice and is a contributor at many membership meetings instructing on particular issues or problem areas. He presently heads up the mentoring program for the Hyde Park Elementary School and has been a Habitat for Humanity volunteer. He has volunteered for many children’s sports activities including Little League, soccer and basketball as his children were growing up. The Stowe Land Trust has a long and successful history of land conservation and stewardship in the Stowe, VT area. 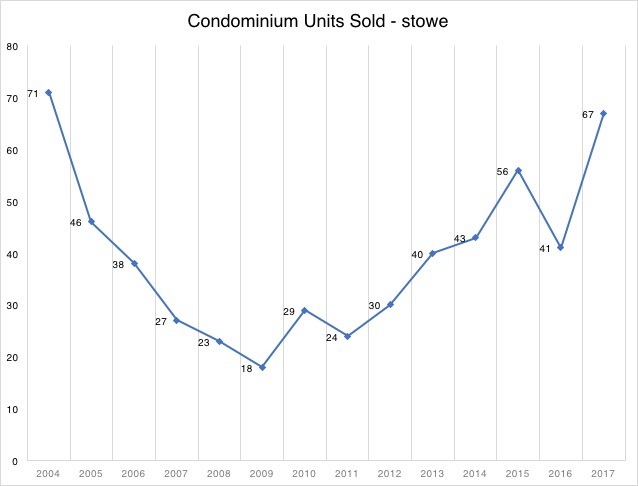 The Stowe Land Trust is dedicated to the conservation of scenic, recreational, and productive farm and forest lands for the benefit of the greater Stowe community. The lastest project undertaken by the Stowe Land Trust is the preservation of The Kaiser Family Farm as a productive working farm. 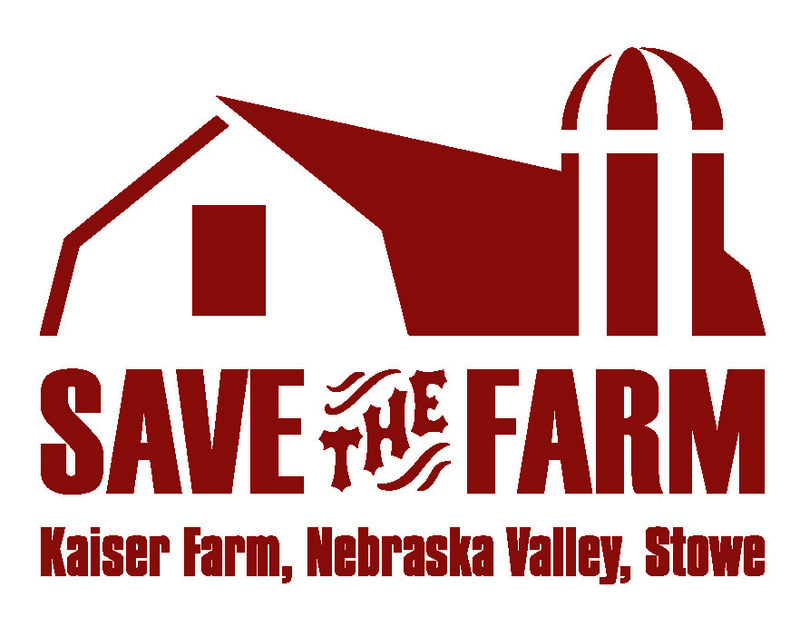 The Kaiser Family has maintained their farm in the scenic Nebraska Valley for decades. Stowe Land Trust is working with Vermont Land Trust and Christine Kaiser to conserve the 49-acre farm. Stowe Land Trust and Vermont Land Trust have arranged to purchase an easement on the Kaiser Farm, which will forever protect the farm from development and ensure that the farm will remain affordable to future farmers. The farm is one of the last remaining working farms in Stowe, and is a reminder of the town’s agricultural heritage. Through Vermont Land Trust's Farmland Access Program, a local farm family will be able to purchase the farm at an affordable price. 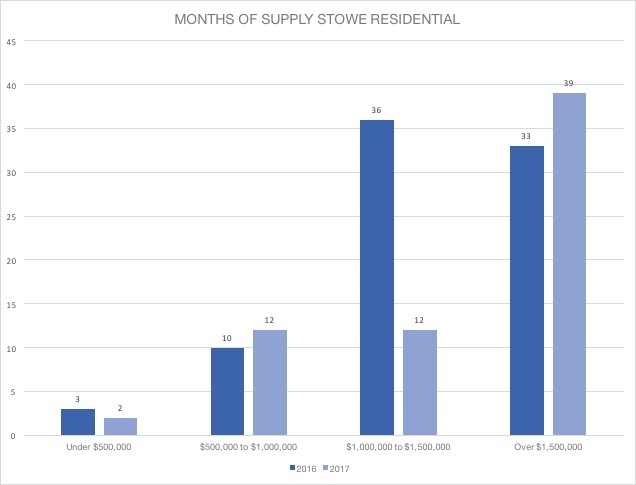 The total cost of the project is $372,000, which includes the easement purchase, project related costs, and a contribution to Stowe Land Trust's Stewardship Endowment fund. 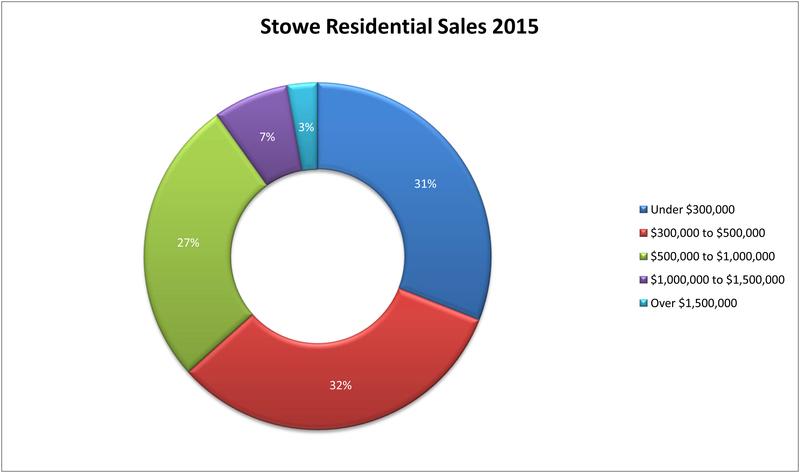 With the support of additional donors, The Stowe Land Trust has secured more than 85% of the necessary funds. Now they need our help to raise the remaining funds. Give today to help protect one of the last working farms in Stowe and support the next generation of Stowe farmers.